Protecting better than conventional cases or edge bumpers, this “active dampening” unit acts like an airbag for your portable handheld gadget, springing to action as it heads toward the concrete sidewalk or hardwood floor below. 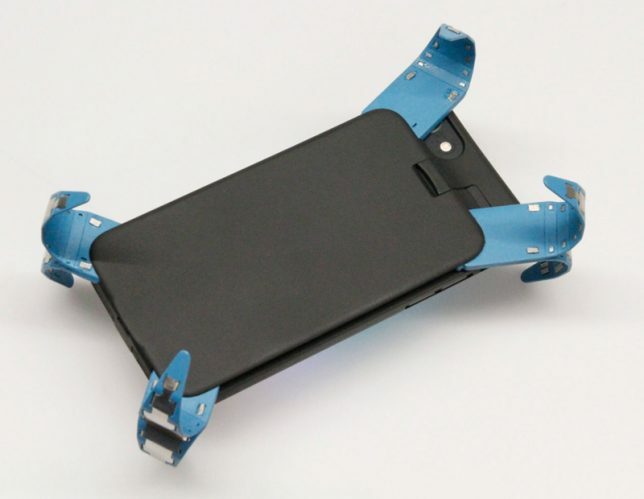 Award-winning German mechatronics design student Philip Frenzel designed the ADcase with four “legs” that auto-detect a phone’s fast motion, flipping out to slow it down upon impact. The protrusions can then be tucked back in for repeated use. Currently a prototype, its popularity has already leant the innovation success in crowdfunding leading toward commercial production — the extra depth added by the attachment will also optionally house additional battery and a charger. “While the case briefly takes on an alien, octopedal appearance when in active protection mode, it is designed to be slim and unobtrusive during regular phone use. It adds 0.6 millimetres to the rim of the phone and 4.6 millimetres in a card-sized protrusion on the back.” All in all, a pretty small price to pay for something that could save you the cost of a replacement device.